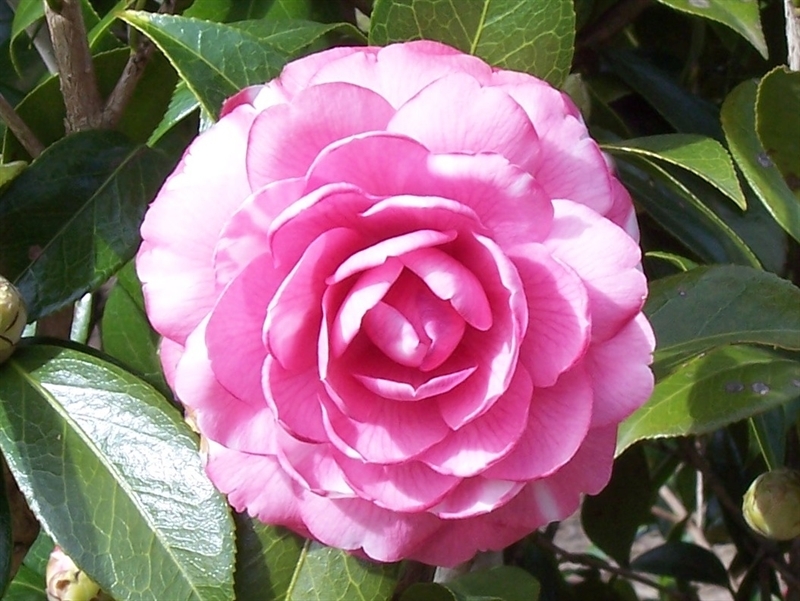 Bloom: The medium sized 4” x 2” formal double form flower is pink with minor variegation and 45 petals. It is a long lasting profuse bloomer with flowers that fall in one piece with consistent form and heavy petal texture. Plant: The plant habit is upright and dense. The growth rate is average. The plant is suitable for landscaping and exhibition uses. The plant is very cold hardy and still blooms in 5° Fahrenheit weather.